I was somewhere else. I thought I was somplace but now I didn’t know what place. I seemed to be inside foreign worlds where there was some kind of troubling comraderie – as if a haunting joke was known to everyone but me and yet faintly I knew it too. I couldn’t pull away – it was like a magnet and there was beauty in it. Human creatures with the feeling of being turned strange and open to falling and glee – they seemed to have a glee for somehow stithcing a laugh to darkness. All the clocks had stopped. A void out of time. And here they are – looking out and holding themselves still – holding still at that point where two worlds join – the familiar and the other. 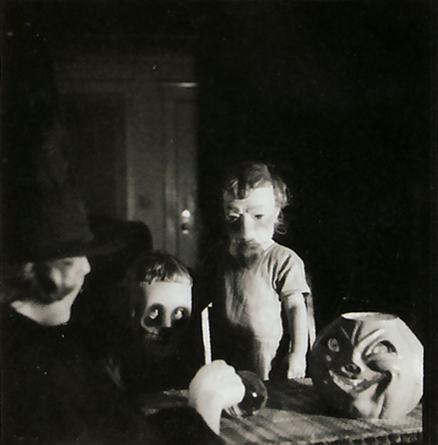 David Lynch, from Haunted Air: A collection of anonymous Hallowe’en photographs, America c. 1875 – 1955, Ossian Brown. This entry was posted on November 12, 2011 at 2:20 PM and is filed under arcana. You can follow any responses to this entry through the RSS 2.0 feed. You can leave a response, or trackback from your own site. 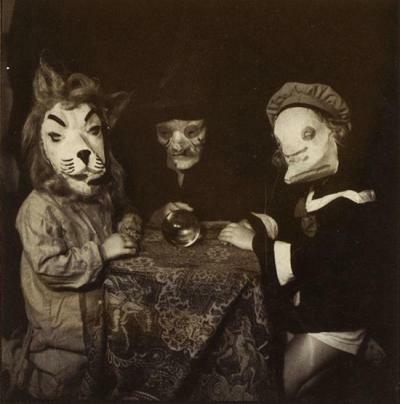 My aunty jean always made a scary mask for me at halloween ( won me top prize at scouts for pure surreal ‘wrongness’ , her style was leigh bowery, but many years before). 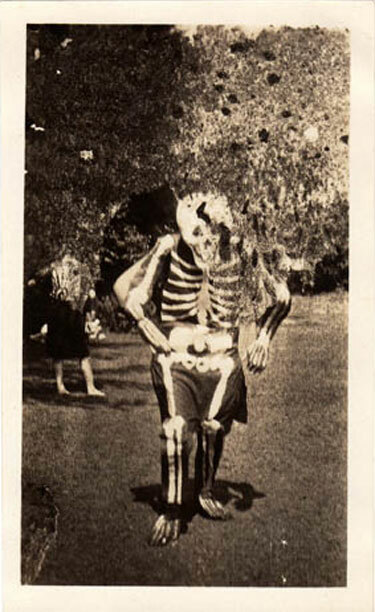 The pics at the bottom of this post remind me of one of those masks, which actually look like ‘scarecrow’ masks , but inhabited by living beings. Maybe their function was to pay homage to the poor freak who scared the birds away from the crops all summer? Maybe a reminder of how our face contorts once buried?